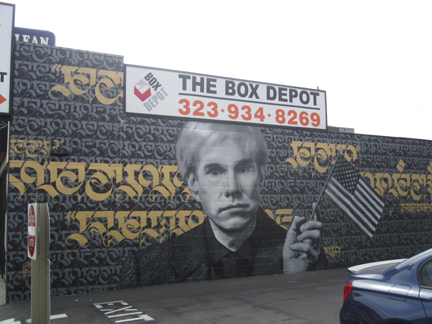 Southwest corner of Fairfax avenue and Beverly boulevard, 2013. Northern wall of The Box Depot. "Original photography by Karen + Bystedt; Painting by Nick Flatt. Cryptik Movement. Sponsored by Branded Arts." No longer there as of 2017.